I'm an incredibly squeamish human being. The sight of blood, a stitched up wound, or most kinds of on-screen horror make me physically turn away. This abhorrence to all things gore goes back to my childhood when I accidentally watched a late night movie with some kind of terrible monster in it. At that time, access to movies consisted of three options: what was playing in the local cinema, what CBC or CTV were dishing up in primetime as the "Movie of the Week" (yes, we had only two channels), and what randomly popped up in the late night movie slot before the station turned itself off after the singing of "O Canada'. On weekends, as young teenagers we were allowed to stay up for the midnight show, most of the time not having any idea what was scheduled. The monster that appeared that night scared the crap out of me and helped strengthen a long menu of fears that defined that period of my life. I had issues with just about everything. Ghosts, monsters, spiders, vampires, and zombies all inspired sleepless nights and waves of fear and panic that swept me away into the great unknown and terrifying more than once. Add to that list fear of thermonuclear war, bears, tornadoes, earthquakes and Bigfoot and you probably get a small sense of my life during the days of disco. All of this as a prelude to my reaction to certain scenes in COVER, the latest short by Hyerphotonic Media. 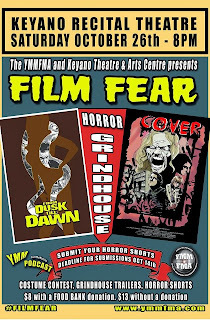 I've seen the film at three different stages of its development, from when it was first cut together, to when some effects were added, to the final cut that will be premiered tomorrow night during Film Fear at the Keyano Recital Theatre. In all three viewings there is one scene where I physically turn away and curl up, a totally instinctual response to a lifelike knife attack. Even though I have seen it multiple times and I am fully prepared for its arrival, my body takes over, twisting off to the side, my face squished up, wide open eyes reduced to slits trying not to look. 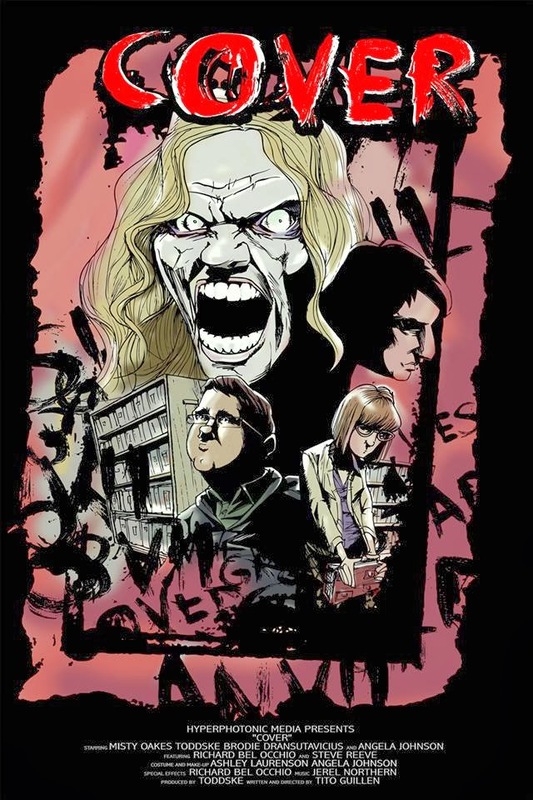 What's cool (and creepy) about this film, especially for those of us who call Fort McMurray home, is that it takes place in the public library. You can't help but recognize the checkout desk, the stacks and the stairs. The crew obviously went in during off hours - thanks to the library gang for allowing it - and captured the story of what happens when an unsuspecting librarian, in the throws of a tumultuous and torturous relationship, opens up an ancient book, unleashing demonic forces. The performances and the cinematography were strong during the first cut, but with the sound effects and music brought in, this becomes a pulsating 14 and a half minutes of suspense and horror worth watching and celebrating. It is the little things that make this film short jump out. The squeaky sounds of the library cart as it rolls along and the music builds in the background. The way the stacks of books were shot to make it seems like the world was closing in on Ashley, brilliantly played by Misty Oakes. The punch and fall sounds that turn a lame looking scene featuring Toddske as Scott and Brodie Dransutavicius as Todd into a piece of filmmaking magic. The music that builds and builds to just the right moment in the story, as if it was composed for this exact set of circumstances. Kudos to Wolfwillow Studio for the sound design and mix, also to Richard Baldonado for the digital visual effects. 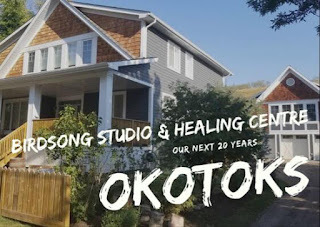 I have so much respect for the group of creators that pulled this film together (Tito Guillen, writer and director and Toddske, producer) as they are not only pursuing their filmmaking dreams, they are also nurturing and developing a community as they do it. COVER becomes a shining apple - or in this case, a rotting apple with maggots wiggling out of its core - to hold up to this growing group of filmmakers and videographers as to what you can produce right here in Fort McMurray with a small budget, a little determination and know-how, and a great idea. 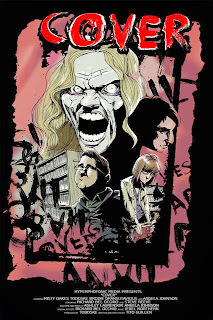 Don't miss the world premiere of COVER during Film Fear on Saturday night starting at 8 pm. Featuring a costume contest, grindhouse trailers (I had to Google what these are!) 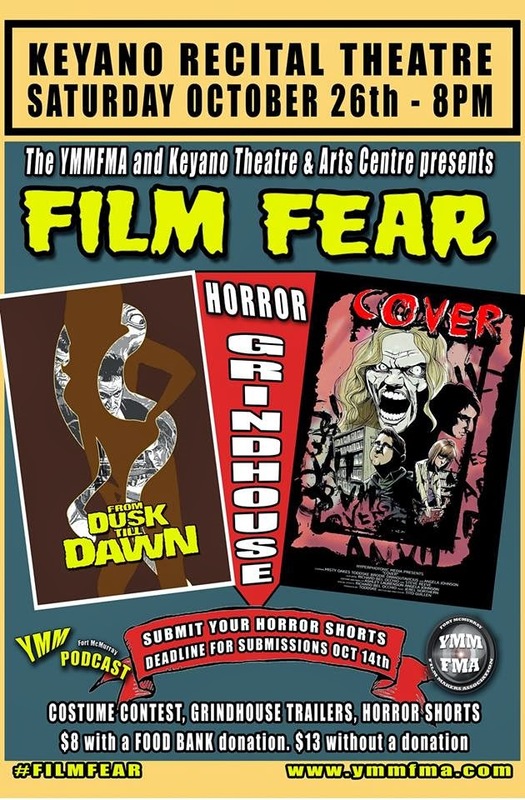 and horror shorts, the cost to get in is $8 with a food bank donation, or $13 without. Owing to the content of some of the films, this is an 18+ event - no minors will be allowed entry. Visit www.ymmfma.com to find out more.